The Green Valley/Henderson area offers multiple master plan communities including Green Valley Ranch, Village of Silver Springs, Whitney Ranch & Southfork. Within the Green Valley/Henderson area there are a few prestige communities with custom homes in the high end luxury market - Hillsboro Heights, The Fountains, Roma Hills & Quail Ridge Estates. Looking for acclaimed golf course communities? The Green Valley/Henderson area also offers Green Valley Country Club Estates, McDonald Ranch, The Grand Legacy & DelWebb's Sun City MacDonald Ranch. The Green Valley/Henderson area features running/biking trails,community parks, movies under the stars, outdoor concerts, community parades, multiple recreational facilties, shopping,"The District", "Green Valley Ranch Hotel & Casio", exceptional dining and so much more. Get the latest information about real estate in Green Valley Henderson area by contacting The McKenna Team at 702-434-4663. 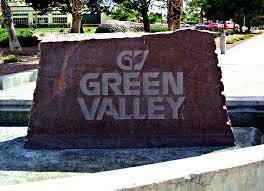 Sign up on our website to get the latest homes for sale in Green Valley/Henderson area. Start your search now and find your dream home. When it comes to Henderson Real Estate and homes for sale in the Green Valley Area, The McKenna Team is here to provide you with the best service.